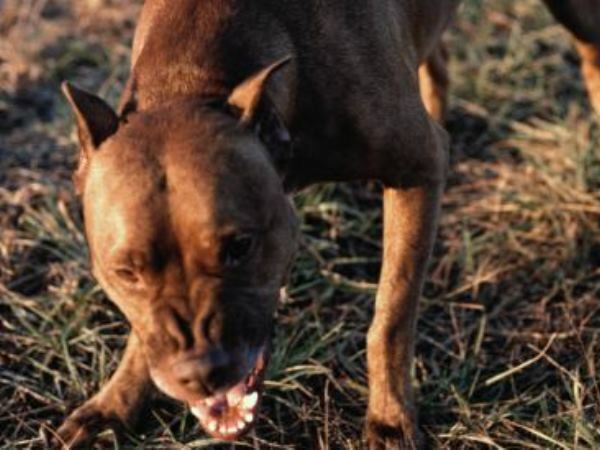 A 9-year-old girl had her right leg amputated on Sunday after two dogs attacked her outside her home in Rosettenville, Johannesburg last week. The two dogs attacked the Grade 4 learner last Monday as she was returning home from school, Netwerk24 reported. The girl and her parents live in a Wendy house in the backyard of the dogs’ owner. She was rushed to Chris Hani-Baragwanath Hospital after the attack, where she remains in a serious condition. She had sustained an infection to her right leg. Her kidneys also collapsed after the incident, and she was subsequently placed on a ventilator. The girl’s father, Vusi Khumalo, told Netwerk24 that his daughter had to endure pain for two hours because the dogs’ owner did not call an ambulance. "The incident happened at 14:30 and I only came home at 16:20," he said. "My child was bleeding by the door and the owner just stood there. The police were also there, but no one called an ambulance. "I went cold when I saw my child. She was lying motionless and there was blood everywhere. "I had to take her to hospital myself." Khumalo said the dogs would have killed his child had it not been for a neighbour. The neighbour flagged down a police car in the street, but the police officers were apparently too afraid to intervene. The neighbour eventually hit the dog with a hammer, and was bitten in the process. Khumalo said the police at Moffat-View police station refused to accept a complaint against the owners of the dog. “The police said I had no proof that the owner was negligent. He also claimed the dogs have yet to be removed from the property, having seen them on Saturday. Patricia Kabongo, the owner of the Wendy house that Khumalo was renting, said she was heartbroken by the incident. "These are my husband's dogs. The dogs are always in the garage. I do not know how they got out. I was not at home when the incident happened. The two dogs though, she claimed, were removed after the incident, contradicting Khumalo’s claim. Inspector Ronald Ramalati of the SPCA said the organisation had no record of removing any dogs from the Rosettenville area last week. Police spokesperson Constable Michael Kgatle could not comment as an official complaint had not yet been filed.